Responsible for delivery of case and disease management services to designated populations. Responsible for managing the daily activities and outcomes of exempt and non-exempt employees. The Program Manager will work with the Director onensuring adequate staffing and training to meet clinical and program needs. Responsible for measuring staff performance based upon JHHC policy and procedures and accreditation standards. Additionally, the Program Manager will be responsible for managing strategic relationships with client groups and community leaders as needed. Active partner in day-to-day operations of Care Management and development of new initiatives. Implements and facilitates disease or utilization-specific databases and processes. Assures program components are up to date. Maintains professional competency and future development by attending continuing education conferences and seminars. The Manager, Care Management for Regions 2, 4 & 5 is responsible for the delivery ofcare management services for predominately the USFHP and PPMCO lines of business. Responsibilities include: 1) managing the daily activities & outcomes of eleven care mangers, 2) ensuring adequate staffing and training to meet clinical and service needs, 3) measuring CMs' performance based on JHHC policies and procedures and accreditation standards, 4) managing strategic relationships with JHHC internal and external customers, 5) effectively utilizing resources within the department, 6) developing reportsand documentation materials, 7) working on QI and VBP initiatives , 8) hiring, firing, and performance management of staff, 9) measuring and assessing outcomes through the use of member data, & utilization reports, and 10) having an active role in the development of Epic workflows and changes in conjunction with the director, other managers, and the EPIC/IT Teams. Bachelor’s degree in Nursing or related field, or a Master’s degree in Social Workrequired. Master’s degree in Nursing, or related health care field preferred. Knowledge of health care and managed care delivery systems. This includes standards ofmedical practice; insurance benefit structures and related legal/ medical issues; and utilization management and quality improvement processes. Work requires a high level of interpersonal skills to effectively interact and affect change with all levels of staff and outside business related associates. Work requires the ability to work independently, to assess situations and respond appropriately, and the ability to initiate and implement policy and procedures. Must be willing to accept change. Work requires excellent communication and writing skills. Work requires the ability tofacilitate and promote public relations to the community and civic groups in addition toexcellent communication skills with all levels of staff and outside business related associates. Work requires a high level of interpersonal skills and attitude to effectively project a positive image of managed care programs by being professional, courteous, helpful and friendly in relationships with all levels of staff and external business related associates. 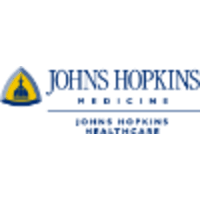 Current RN or LCSW-C licensure in the state of Maryland or in a compact State required. Minimum of eight years clinical experience, which includes a minimum of three years in a managed care environment (case management or utilization management). Minimum two years management experience, preferably in the managed care environment. Must be able to operate computer, general office and communication equipment.